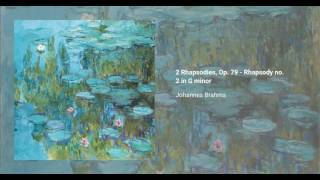 The Rhapsodies, Op. 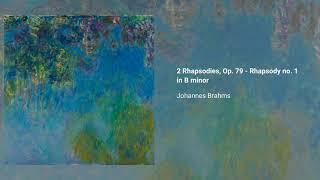 79, for piano were written by Johannes Brahms in 1879 during his summer stay in Pörtschach, when he had reached the maturity of his career. They were inscribed to his friend, the musician and composer Elisabeth von Herzogenberg. At the suggestion of the dedicatee, Brahms reluctantly renamed the sophisticated compositions from "klavierstücke" (piano pieces) to "rhapsodies".